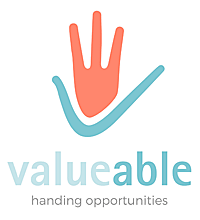 – ValueAble, the network of the hospitality employers who promote job inclusion of people with intellectual disabilities, presented in New York on march, 21st. 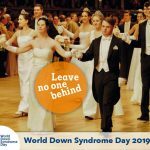 21 March 2018 marks the 13th anniversary of World Down Syndrome Day (WDSD). The general topic of this year is: #WhatIBringToMyCommunity – how people with Down syndrome can and do make meaningful contributions throughout their lives, whether in schools, workplaces, living in the community, public and political life, culture, media, recreation, leisure and sport. 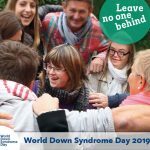 That day, at United Nations Headquarters, New York, a conference titled “What I bring to the workplace” will draw together people with Down syndrome, their advocates, major employers, experts in the field of disability employment, and government officials. 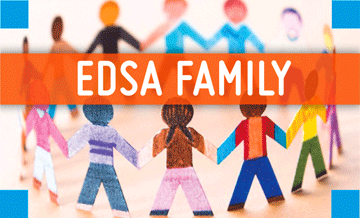 “A ValueAble network” project, promoted by Associazione Italiana Persone Down, will take part in the conference on behalf of the European Down Syndrome Association as a European exemplar case of best practices of job inclusion of people with intellectual disabilities (IDs). The project, funded by the European Commission in the framework of the Erasmus + programme was thought with the aim of creating a European network of companies working in the hospitality business and willing to provide internships or employment to people with Down syndrome and other IDs. Today, the ValueAble network (www.valueablenetwork.eu) exists in Italy, Spain, Portugal, Germany, Hungary and Turkey and already boasts of 52 companies. Further 43 enterprises have already experienced working with people with IDs and are evaluating to join the network. Within ValueAble, more than 100 people with IDs were given the opportunity to work in their own countries and show that they can and do make a meaningful contribution to businesses, as their employers now recognize. Aiming to consolidate such a practice, now the international mobility phase of the project has begun and interns with IDs are experimenting spending their training period abroad, while hospitality managers can benefit from specific online training modules on general and job-related ID issues. Study visits for them will also be organized at the Italian and Portuguese hotels where these internships are taking place. “I do hope that the network will extend all over the world and that it will raise awareness about the fact that these workers can bring productivity and an added value to their workplaces”, says Paola Vulterini (AIPD) project manager.